CJ England credits her passion for writing to her second grade-sweetheart, Steven, a blond-haired cutie with dimples, who dumped her for a girl who could swing on the monkey bars. She wrote her first story about love and loss after that tragic episode. She is a gypsy, due to her curiosity and �itchy feet,� spending time in forty-three countries, and has visited all fifty states in our own. Even raising three kids didn�t slow her down. Married to her own personal hottie, Jonathon, who is her inspiration, lover and bestest friend, she travels the world with Cirque du Soleil, writing about all the places they visit. She is known on the internet as a best-selling, award-winning author who can bring sensuality and romance together in ways that require you keep a fire extinguisher and a box of Kleenex handy. 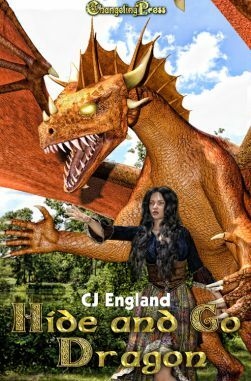 Described as having �innovative story lines,� �a whiz at character development,� and �quite simply a genius!.� CJ wants her books to spark the imaginations of her readers. So they will begin to believe anything can happen if you� Follow Your Dreams. For more information on CJ and her great books, email her at womanofthewind1@yahoo.com or visit her web site at www.cjengland.com, Amazon Page www.amazon.com/CJ-England/e/B002BLLFBE, GoodReads https://www.goodreads.com/author/show/14135200.CJ_England, and Author�s Den www.authorsden.com/cjengland Check out her other hangouts: Chat Group tinyurl.com/odfhgm6 Newsletter tinyurl.com/pxnbezm, Living Dreams Blog cjslivingdreams.blogspot.com, and Free Reads Blog cjenglandsfreeread.blogspot.com, Facebook www.facebook.com/CJ.England.author, Twitter twitter.com/CJ_England, Pinterest www.pinterest.com/authorcjengland. 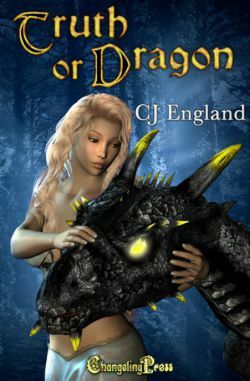 Will an irrepressible free spirit dare to tame a dragon's heart? A dragon's protective fury gives two wounded souls a second chance at an eternity of love.